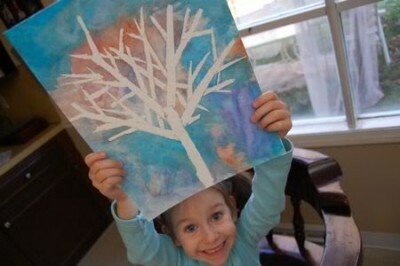 Children can create beautiful works of art from just using masking tape, paint and paper. Every painting will be uniquely their own! Read on to find out how we did it…..